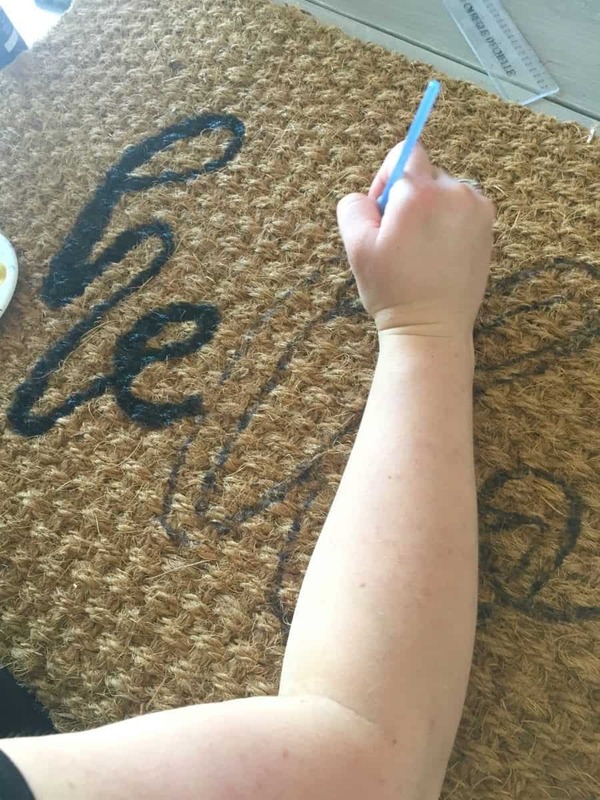 Our current craft day involved stenciling and painting a door mat! (This was our last one) I HAD to share–cause I learned so many little tips! This was a pretty fun and easy craft day (My friend put it on!) but each person gets to create their own personality with it! 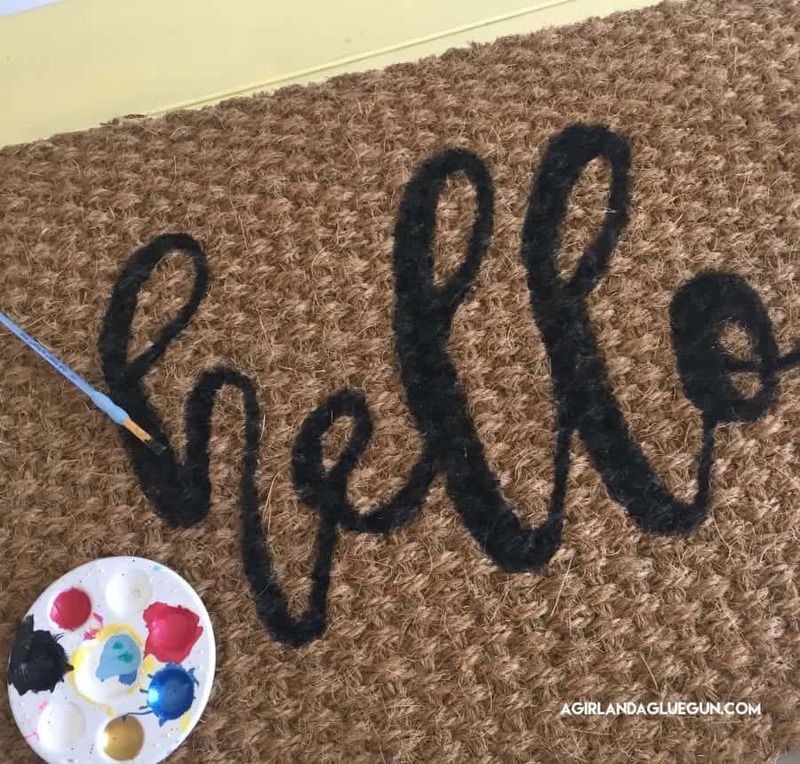 and I Love using DecoArt paint! It’s thick and comes in so many fun colors! First…get a stencil. We cut ours out with our silhouette and some vinyl we had laying around! 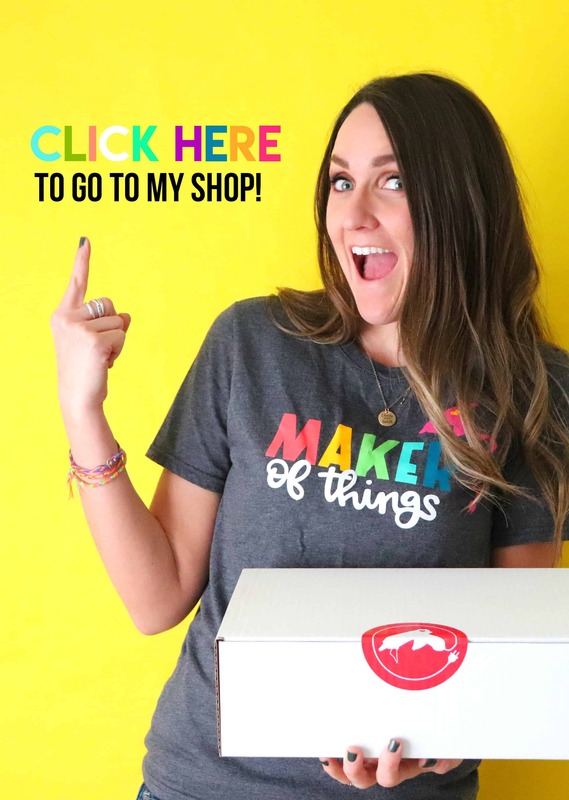 (You can print out your design and use an exacto knife to cut out!–still works…just lots more time consuming!) And Expressions actual has stencil vinyl…see it here! 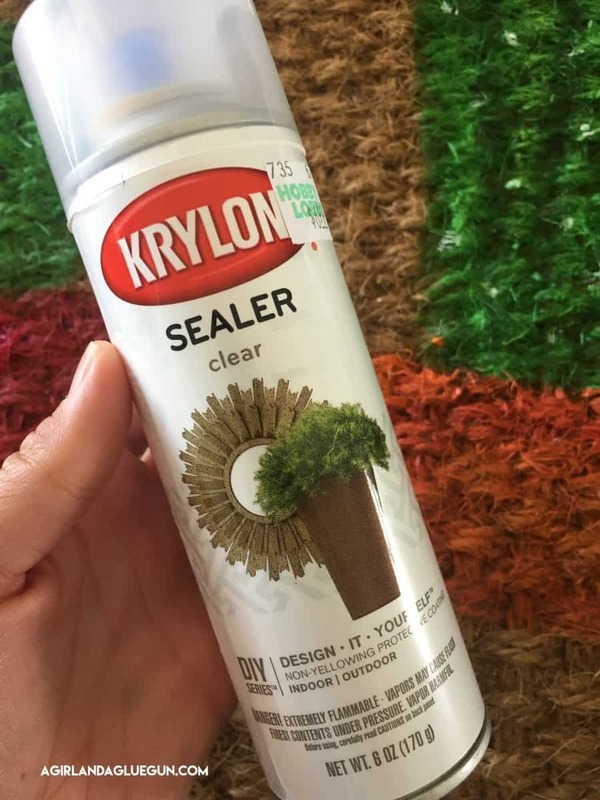 You are going to use vinyl as a stencil–I have a tutorial that will walk you through it! But basically…you are going to weed out the part of your design you are going to want to paint-Leaving the outline. 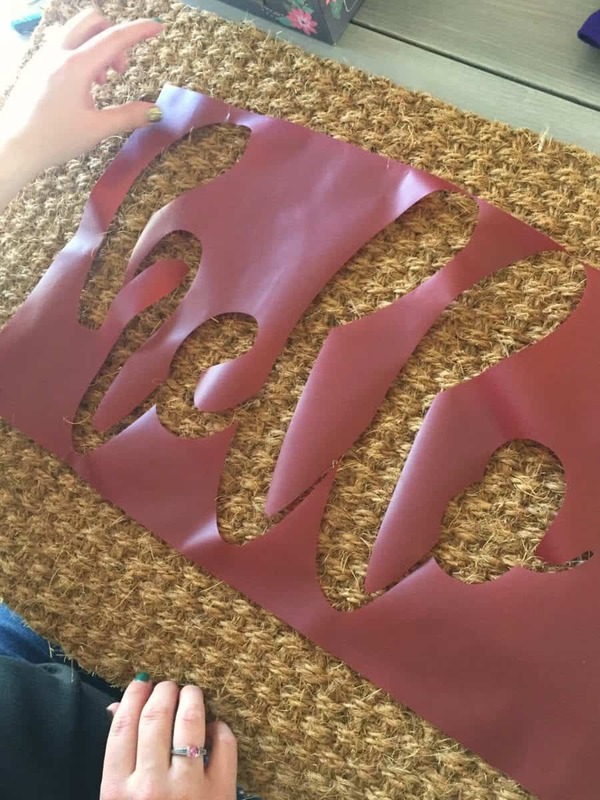 Since the hello was a big piece of vinyl we just peeled and stuck. But more intricate designs you are going to adhere it like this tutorial – but you basically just peel off the backing as your go. After we got the main pieces…we just peel and stick the inside of the e, ls, and o. The vinyl does NOT stick good to sisal….I mean nothing really does. It’s got a rough texture. So you can peel up and move where you want! 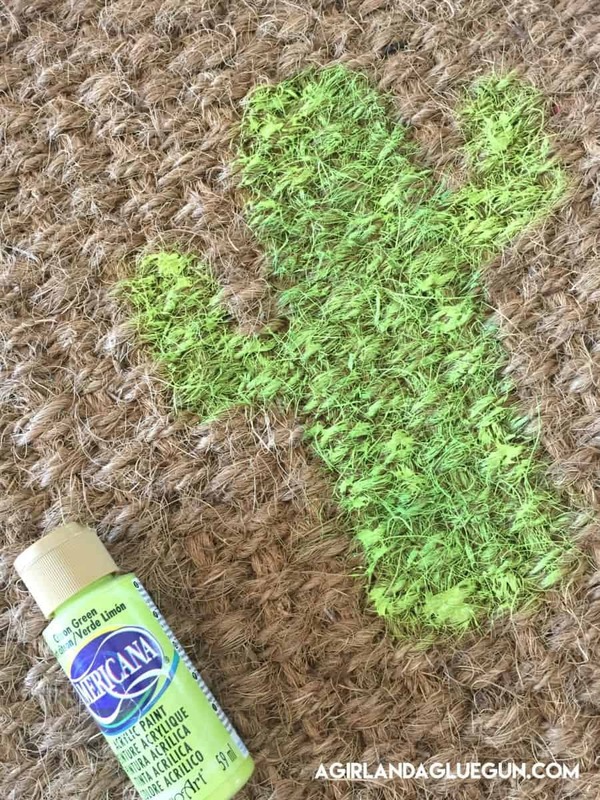 I ended up making a cactus one door mat…no stencil. Just willy nilly! 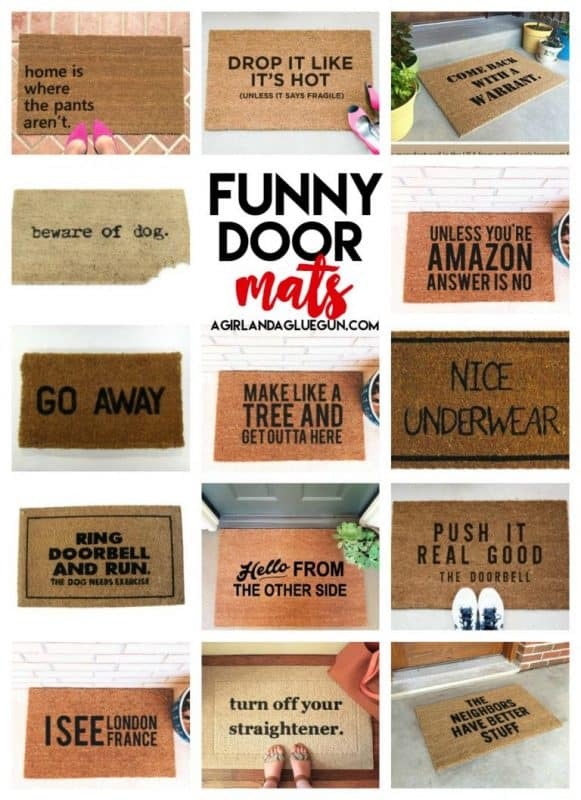 and here is tip: You need to seal and protect these rugs! Look for outdoor! 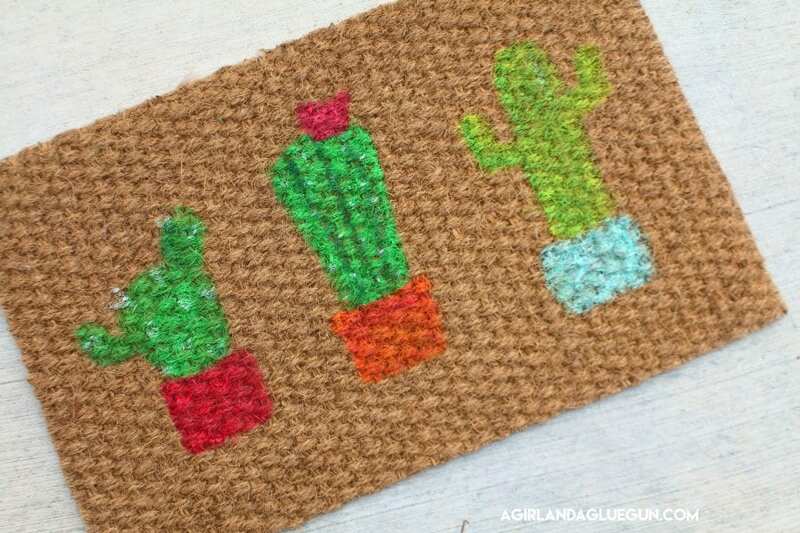 So there you go–a cute door mat! The only time consuming part was cutting out all the stencils! (Thanks Tanya for doing all the labor for us!) 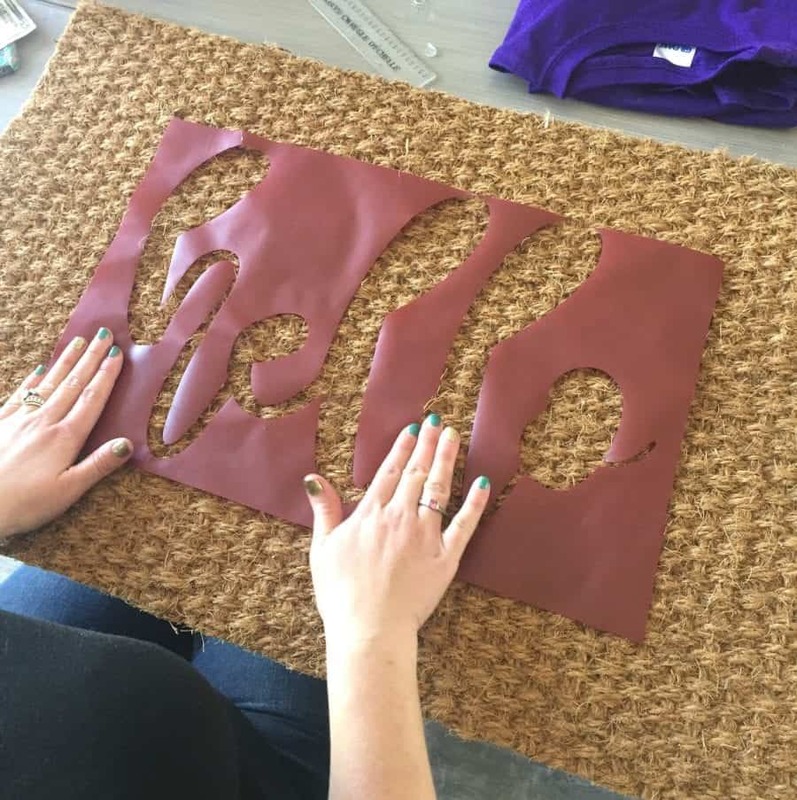 But once you have your stencil and idea picked it…it’s basically color by numbers! 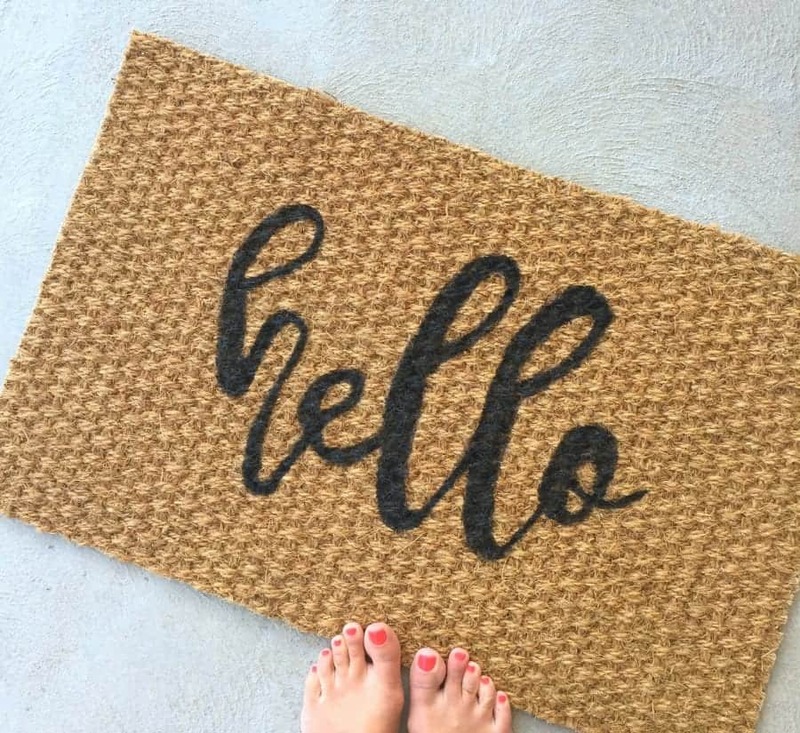 and here you go if need some ideas on what to put on your stenciled door mat!